The ultra trendy concept store that celebrates its 20th anniversary is welcoming the Scandinavian decoration brand IKEA. A new friendship that builds an unprecedented bridge between democratic design and the arty universe of Colette. And again a nice surprise of which Colette has the secret. Spotlight in the shop windows which presents until March 25th the iconic products of the brand cleverly diverted and reinterpreted by Colette. 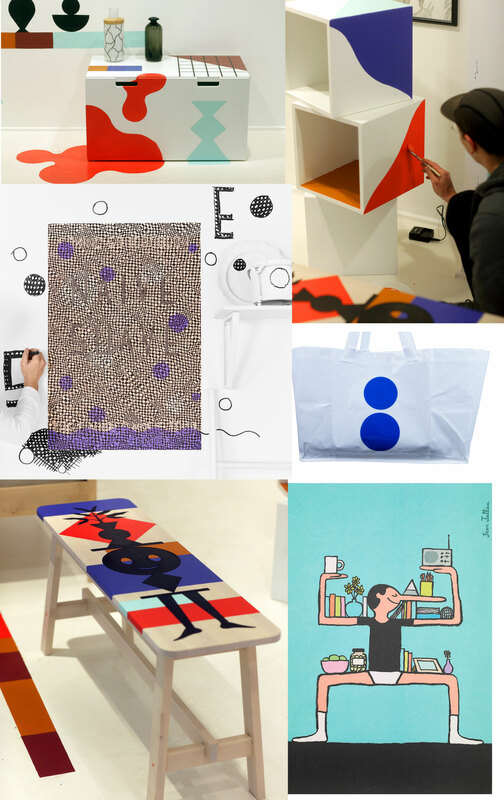 The IKEA ART EVENT collection, which brings together 12 posters made by artists from around the world, will also be featured on the IKEA ART EVENT collection in exclusivity and preview at the gallery concept store. On the sidelines of this exhibition, 4 international artists who have participated in this collection will come to offer their interpretation during artistic performances lives. Meet with the French illustrator Amandine Urruty from 27 to 29 March. Another surprise, the iconic Frakta bag from IKEA is available in the colors of Colette! Edited in limited editions, the bag that sports for the occasion the famous Colette signature blue peas, is offered for any purchase of a product of the IKEA ART EVENT collection. Finally, until May 6th, IKEA invests the waterbar and completely revisits the decor of the restaurant by installing its furniture in vitamin colors. A first time for this hot spot frequented by the happy few and other trendy Parisians. And little note for the latecomers, Colette is springing for its 20 years in the Nave of the Museum of Decorative Arts. You have until Saturday to dive into an ocean of translucent balls and get ahead of the summer, enjoying the art installation THE BEACH designed by Snarkitecture. An aesthetic and playful place, for young and old where to have fun and relax, very Colette in short!